The Design Dude is boutique creative studio located on the Sunshine Coast of Queensland. Drawing from decades of experience in graphic design, website development, printed media, digital marketing, search optimisation and signage, we encourage brand perfection, and aim to nurture a mutually beneficial, lasting relationship with our clients. From developing your company logo and creating your website, through to designing business cards, flyers, ads and signage, we’ll help your business portray its best image with professional, consistent branding across all of your marketing and communications collateral. 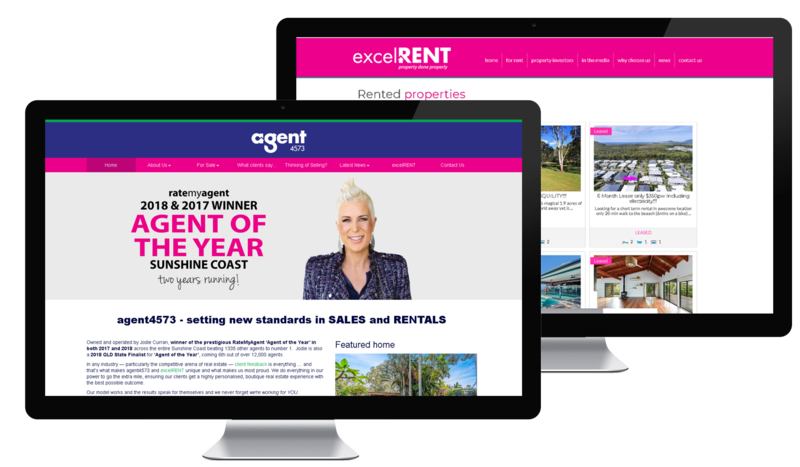 By creating an all-inclusive strategy at our graphic design studio based in Noosa, we take into account your goals, budget and industry requirements, providing a unique professional approach. When you engage The Design Dude, you deal directly with the owner, Paul Batten, who manages every aspect of your project. There are no sales staff or project managers. You not only receive a highly personalised service, you’re also assured of a financially risk-free experience with our unique Customer Satisfaction Guarantee. The Design Dude offers a broad range of services for small to medium sized business at very reasonable rates. "Logo creation, a website integrated to our property management software, signage, business cards, vehicle signage.... the Design Dude did it all, and it was AWESOME! "